Beauty Queen Promise Emmanuel “Miss Teen – Ik Sen. Dist.) 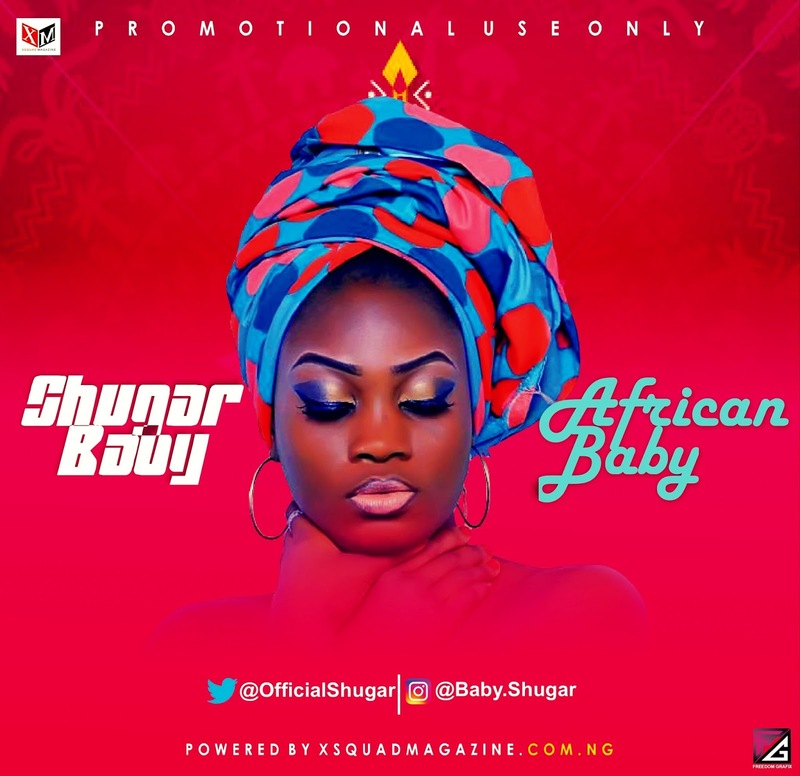 goes hard as she covers Port Harcourt City based R&B Singer Shugar Baby’s new hit single “African Baby”. The idea behind this creativity came following an Instagram DM between Shugar Baby and her Manager; Mfonobong Robson where Shugar Baby requested for her Face to be used on the music artwork since she is more like an “African Baby”. Shugar Baby is one of Port Harcourt City finest and next rated R&B singer who has dropped banging hit singles "MAGICAL", "AYAYA + MY WORLD" for the past few months. Miss Teen who is on her fit to impact her world positively with her projects commended her manager for the creativity embedded on him to see her as a brand that can model a product to Greatness therefore approving her face to appear on the music cover. “I strongly believe that having my face on the Music Artwork will portray the music title “African Baby”. She added. According to an official statement released by her Manager, the Artwork Modeling by Miss Teen is not just portraying the title of the song, but to also elevate fan base of both Brands. “It’s my pleasure to have her Beautiful Face on the Music Artwork after much discussion; to promote the song and to elevate her fan base and I think it’s high time our Beauty Queen stand up and impact their world with the sponsorship and partnership of the Government and other Private Sectors”, Mfonobong Robson added. While on a press briefing; Shugar baby announced the official release date of the single which he said the song will be on all the online stores from 8th March, 2018. He also added that he is currently working on the shooting of the Video to commence immediately few weeks after the official premiere of the Audio. “African Baby” by Port Harcourt Based Singer Shugar Baby drops on 8th March, 2018.